JOE WEINMAN is Senior Vice President, Cloud Services and Strategy, Telx, and a former executive at HP, AT&T, and Bell Labs. 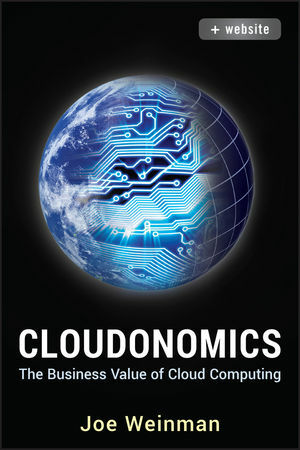 He is the founder of Cloudonomics and the Cloudonomics® blog. He is a frequent global keynote speaker, a prolific inventor awarded fifteen patents, and a guest contributor syndicated to a variety of print and online publications, such as Bloomberg Businessweek, Forbes, CNNMoney, InformationWeek, and GigaOm.com. He has been interviewed frequently in the press and on global broadcast television.